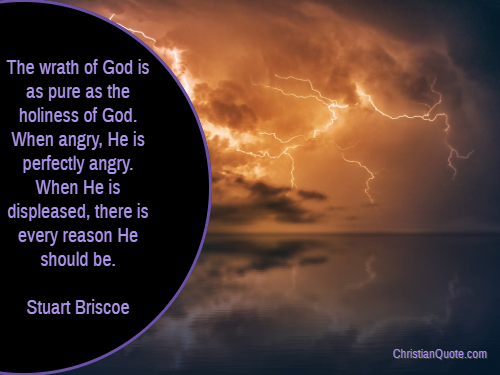 The wrath of God is as pure as the holiness of God. When angry, He is perfectly angry. When He is displeased, there is every reason He should be.